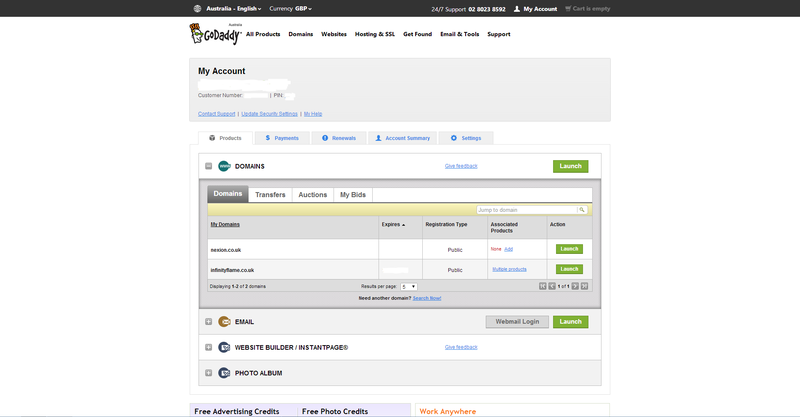 GoDaddy is a great Domain Registrar, I have GoDaddy as my Domain Registrar. When using domains and Subdomains you may want to have multiple websites on the same server, here is how to add hosts to your GoDaddy account. 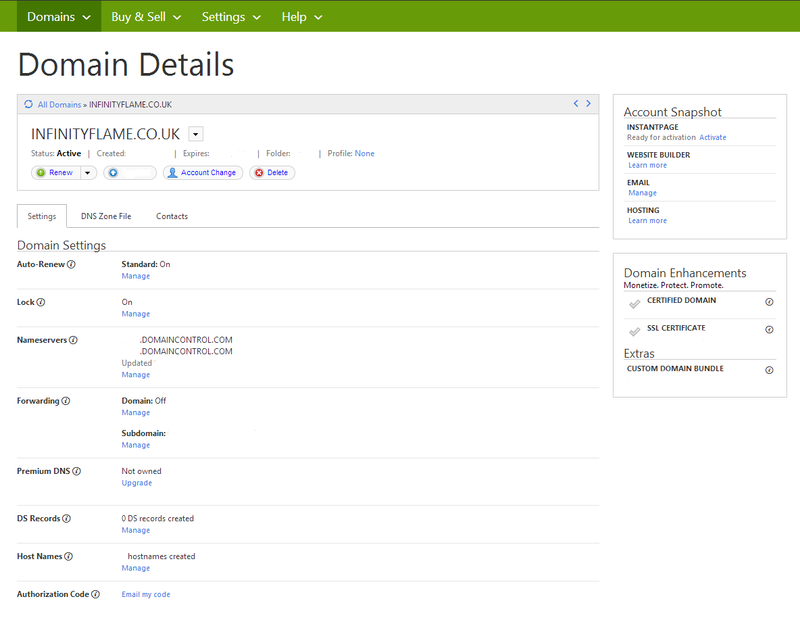 First Browse to Godaddy and Login, It may be slightly different for you as I live in the UK. First Click on My Account, then Visit My Account… You should see this page, Expand Domains. On the domain you would like to Add a Host to, Click Launch. You should See this Page…. To add a subdomain Click Host Names (Manage) In there click Add Hostname. The Hostname will be the Subdomain Name, The IP address will be the IP address of the web server(Or Application Server). Then Click Add. Please note that it can take up to 48 Hours for a DNS Host to update through the Internet. To Set the Domain Record, Click DNS Zone File, Click Add Record, Select A (Host), Enter the Host that will be the Domain or Subdomain, such as www (By Default this is already configured, so click edit rather than add record.) Then Click Points to, The IP address will be the IP address of the web server(Or Application Server), Then set The Time To Live (TTL), If you are unsure what to do, leave it as default. Then Click Add. You have now configured a new host! If you want to add another, repeat the process.